You know what it means during Memorial Day Weekend in Lake Arrowhead? GARAGE SALE WEEKEND! And this year will be no different. If you've been hanging on to stuff from the 50's, now's the time to get rid of it. Or, try. You know that old saying, One Man's (or Woman's) Trash, is Another Man's (or Woman's) Treasure! 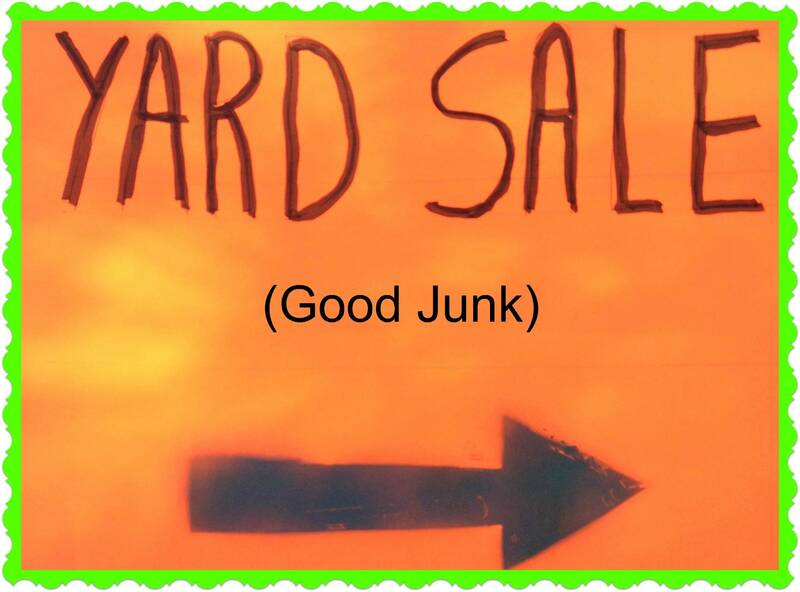 Clear out the garage/build-up and plan your "Garage/Yard Sale." MEMORIAL DAY WEEKEND,) a time we honor the men and women who've died during military service for our country, is also the first THREE DAY HOLIDAY since winter (actually opening up the season for "vacations" and fun in the sun). AND... IT'S "GARAGE SALE WEEKEND" (May 26, 27, 28, 2017) in our local mountain towns. Every Memorial and LABOR DAY Weekend, we have a Three/four-Day Garage Sale. It's the perfect time to get rid of your "stuff" but also a great time for new homeowners to pick up a few items for their cabin. For instance, you can load up on winter snow tools (shovels, etc). I call this The Recycling System. P.S. Also check my WHAT'S HAPNIN IN LAKE ARROWHEAD for all the events going on.